There is so much "nutrition information" available these days and everyone seems to be "an expert" when it comes to food and nutrition. We are constantly bombarded with information about the latest fad diets. food trends and new products on the market. I don't blame people when they come to me, confused and frustrated. Furthermore, it's not uncommon that I see people who have jumped on a particular nutrition fad and fallen victim to what is known as the "Health Halo" effect. 1. "I'll have another triple chocolate muffin please. They are so delicious, and they are gluten free so they are good for you! Bonus!" 2. "I ate the whole packet of cookies. But it's OK because they were organic." 3. "I can have seconds because it is 'all natural.' "
4. "I have cheesecake every night - but it's paleo so it's good for me." 5. "I'll have a diet coke. And a Big Mac." 6. "I use a thick spread of margarine on everything, because I use the cholesterol free version." 7. "I can eat and drink heaps this weekend because I was good during the week." To explain, the Health Halo effect describes the tendency to eat more of a product when we perceive it as being "heallthy." As a result, we can end up eating more calories than if we were to have the original version of a food! For the record, in reference to the above situations, the fact that a food is gluten free, organic, all natural, paleo, low fat, no sugar, diet, lite, etc etc., does not give you license to eat copious amounts of it!! 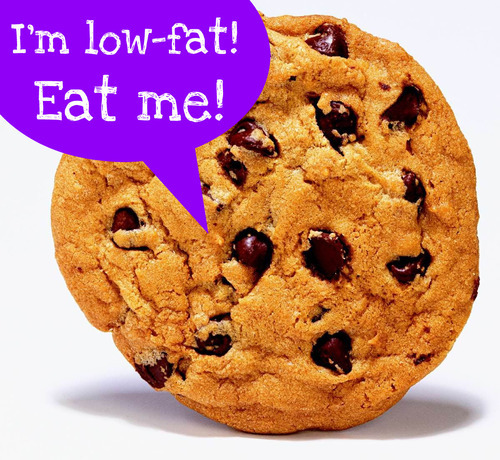 Yet this is what seems to occur.The Health Halo effect occurs when we eat more of a low fat food simply because it is "low fat," or we have lots of a super indulgent dessert because we had a seemingly "healthy" main meal. 1. Study participants were given a meal at Subway and McDonald's and asked to estimate the number of calories in each meal. Both the Subway meal and the McDonald's meal contained the same number of calories, yet participants estimated the Subway meal contained 21.3% less calories than the McDonald's meal. Why? Because Subway is a "healthy" choice right? Well, not if you make poor choices there! Some other examples I've come across where the health halo may come into play are yoghurt with granola, banana bread, fruit muffins, smoothies, wraps and snack bars. What are your beliefs about these foods? Just how healthy are these foods, are they always the best option? Hmmmm. 2. Study participants were given either a footlong Subway with 900 calories or a Big Mac with 600 calories. Even though the Subway meal actually contained more calories than the Big Mac, the study participants still believed it was the healthier choice! What's more, after having the Subway, participants ordered more extras such as drinks and cookies than after they had eaten the McDonald's meal!! So because people thought they were being "healthy," they thought they could eat more high calorie sides! Conversely, when people thought they were eating a more unhealthy food, they were less likely to order additional sides. (This research was conducted by Chandon and Wansik in 2007. You can read more about it here: http://www.jstor.org/stable/10.1086/519499, here http://foodpsychology.cornell.edu/outreach/organic.html and here http://www.nytimes.com/2008/12/02/science/02tier.html). So, what's the take home message here? (No, it's not that you shouldn't eat Subway and choose Maccas instead....). I believe the take home message is simply to be aware of the way you label or categorise food in your mind. Do you consider foods to be "good" or "bad," or do you tell yourself you are going to be really strict with your diet so you can eat like crazy at other times? Really, the Health Halo effect just demonstrates the crazy mind games we play with ourselves!! At the end of day, we could all benefit from listening to our bodies and what they are asking for, rather than falling victim to the endless food claims, food advertising and fad diets which are promoted in the media. Make yourself aware of the nutrition value of foods and seek the support of an Accredited Practising Dietitian to help you understand the sea of information out there! Putting a little more thought into your choices may help you to understand why you eat in a particular way could help you to get your health on track! You may just be surprised! Food Near Me There are many reasons but here are the most important ones. Raw foods such as fruits and veggies, contain anti-oxidants which fight free radicals. Free radicals cause premature aging and health problems. 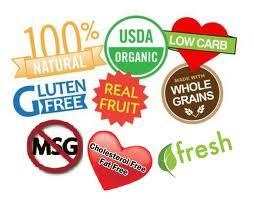 Free radicals are found everywhere from pollution, to fried foods, to microwaving food, to radiation, smoke and so on. The anti-oxidants in raw foods, such as fruits and veggies help combat this damage and help you look younger.